A victory is a victory and France made their second win in their history in World Cup. France took it home and they did not have to play the type of soccer their quality suggested. If you look at their game in the final, you will observe that Croatia dominated the larger part of the match. France were playing like the smaller side of the two. A victory is a victory and France made their second win in their history in World Cup. The reason they made this win is their great team work which was portrayed in the games and each player’s individual quality. Without doubt, team work made them winners. This was evident with how Griezmann and Giroud played. They played as modern versions of the little and the large striker partnership. Giroud is good at fighting with the defenders. He wins with the headers and always finds a way of bringing them to Griezmann’s path. Giroud is also great at bringing the ball to Kylian Mbappe and Blaise Matiudi and this is when he has to get the ball out wide. Giroud will only fall out of place when it comes to aesthetics but he will be great when it comes to functionalities of the team. 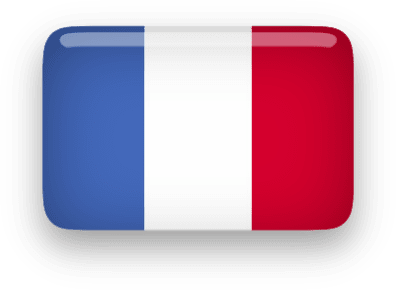 With such great game play and other similar collaborations with players in the team, it is evident that France is good at making team work functional. France made it their third time to make it in the finals after they edged out Belgium in the semis. In 1998, they won their first world cup after they beat Brazil in the final. In 2006 they finished as runners up after they lost to Italy in penalty shoot outs. During their time in the world cup, they had five wins and one draw. In their first group stage match against Australia, they won with a score of 2-1. This is the first time when the effect of VAR and goal line technology took charge. They later on played against Peru and they won the match with a score of 1-0 from the early bloomer in their team; Kylian Mbappe. This win made them advance to the round of 16. For their match against Denmark, they drew but this made the two teams advance through the round of 16. This made France go through the group stages without a loss. In the round of 16, they came strong and this made them beat the South Americans (Argentina) in a 4-3 win and this booked them a place in the semi-finals. Kylian Mbappe was the man of the match in this game after he scored two spectacular goals. After they made it to the semi-fi nals, they were placed against Uruguay and they beat them 2-0. This qualified France to the quarter finals and this is the sixth time they are doing this in the time they have been in the World Cup. They had a tough time playing against Belgium in the first half but after studying Belgium’s strategy, they made the best out of it and made it to the finals to meet Croatia. France got their first lead in the finals after Mandzukic made an own goal through a header. Mandzukic became the first player to score and own goal in the World Cup final. On the other hand, France made history by scoring four goals in a final match since the time of Pele in Brazil when they played against Italy in 1970. France where the winners and this is after the game ended with a score of 4-2.